Just as the Hiram motto suggests, the residents of this Metro Atlanta city are very adept at taking the best of every era and blending it together. You could say that Ben Hill Renovations, then, is a perfect fit! Old-style craftsmanship and attention to detail, taking your house in as it is right now, and turning it into a sturdy structure that will last far into the future! When you’re in the market for Hiram Windows, Ben Hill Renovations is your best option for quality, affordable products and service. When you get the right windows properly installed, they can lower energy and HVAC costs, improve air quality, increase comfort, protect from harmful UV rays, improve lighting, raise property value, and so much more! Although windows may seem like a huge investment, Angie’s List states that the average return on that investment is at least 70% when it comes time to sell! Windows really can make a huge difference in your home. When you need Hiram Windows, you can trust Ben Hill Renovations to provide top of the line service, all at a fair and reasonable price! Hiram Siding services by Ben Hill Renovations are never second best. Make your home or business stand out with siding repair or total siding replacement! The average lifespan of properly installed siding is about 20-40 years under normal conditions. After that, you might experience more damage and a major drop in energy efficiency. Cracked and compromised siding is an eye sore, and opens your house to unwanted intruders like mold, mildew, and insects. If Hiram Siding is on your need-to-do list, Ben Hill Renovations has you covered! No matter where you live, no matter what type of roof you have, they will always need to be replaced eventually. But together, we can work to prevent that eventual cost as long as possible through the application of consistent maintenance. If your roof is already to the point where a replacement is necessary, we try to make it as easy as possible for you by providing convenient financing options. Whether your Hiram roof needs a simple flashing repair, storm damage repair, or an entire replacement, we have your back! Give us a call to learn more about our roofing services and schedule your free consultation and estimate! Nothing brings a sense of comfort and community like a beautiful new deck from Ben Hill Renovations! Dress it up with seasonal decorations, make it big enough for parties, close it in for privacy, add a roof for reading books on your porch in the rain, or add a fire pit for late-night s’mores and cozy conversations. As the best Hiram Deck Builders in the area, we can build your customized Hiram deck to suit your precise desires. Give us a call to learn more about our custom Hiram decks and schedule your free consultation and estimate! 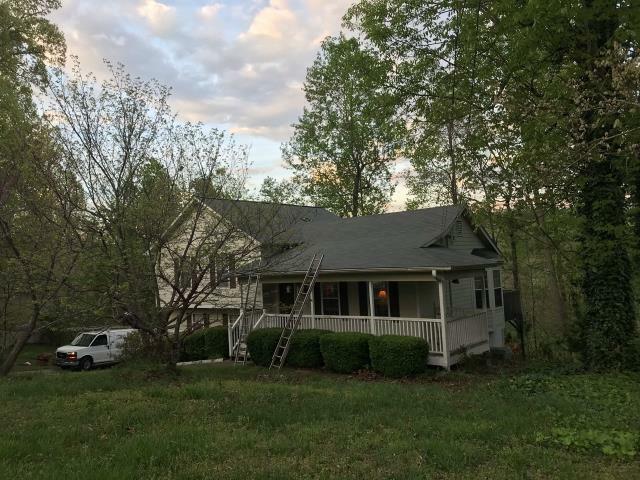 Whether you’ve purchased a Hiram “Fixer Upper” or you’ve been living in your house for a while, Ben Hill Renovations is here to help you along every step of the way in bringing your home up to code on the most recent energy-efficiency standards. From new siding, new roofing, new windows, attic insulation, and more, we can handle your Hiram Exterior Renovation needs! Give us a call to learn more about our services!